Based in New Delhi (India), VPL Infotech & Consultants is counted amidst the most reliable Exporters and Suppliers of Compensation Design System. Compensation Design System is best suitable for undertaking study of lag, lead and lag-lead, Second order simulated systems, all pass filter, etc. Study of lag, lead and lag-lead. Study of All pass filter. Lag, lead and lag - lead compensating circuits. 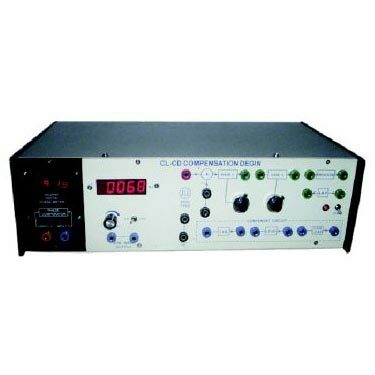 Gain compensating amplifier with calibrated dial. Signal sources (Sine wave) : Continuously variable in two decades (10-1000 Hz) with 0-8 V(p-p) variable amplitude. Digital phase angle meter 0-180o (optional).